RIO DE JANEIRO, Brazil (AP) — Environmental officials are looking for the cause of an oil slick that has killed scores of penguins in southern Brazil. 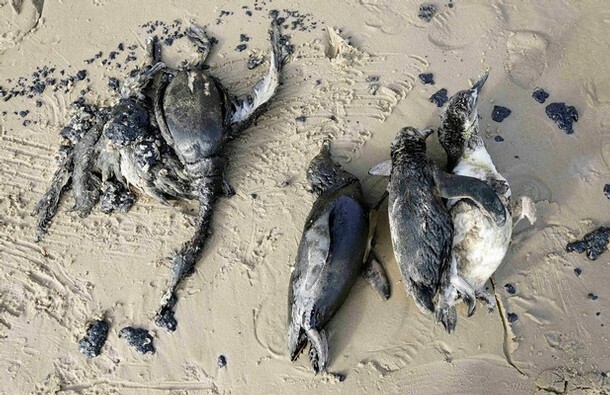 Marcelo Duarte of the Santa Catarina state environmental police said nearly 200 dead penguins covered in oil have washed up on the state’s shores since Sunday. Duarte told The Associated Press on Thursday that the oil probably leaked from a large ship. This year, thousands of penguins, both dead and alive, have washed up on Brazil’s shores as far north as Rio Grande do Norte state, near the equator. Scientists are unsure why so many penguins are washing up in Brazil this year, but suspect overfishing near the Antarctic and colder-than-usual ocean temperatures may be to blame.